be scathed in what was to become a coast to coast Watergate of perversity. 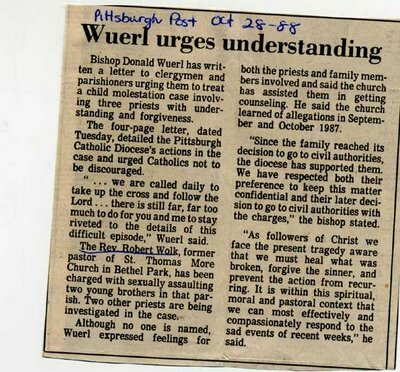 ald Wuerl as the enemy. woman who had any dealings with him. He was a vicious brat. been a nobody in terms of power and influence. as Sodom & Gomorrah Masses. have been made a parish pastor. In addition, Catholic Church property would not have gotten into masonic hands. a city famous for championing worker's rights.